Neem has a ton of uses. The sap is used for treating fevers, fatigue, digestive issues, and skin issues; the bark is used for respiratory problems and other infections; the leaves are used for digestive problems, intestinal fungus and parasites; the fruit for fatigue, skin problems, and intestinal parasites; and the seeds and oil are used for diabetes, fevers, bacterial infections, and inflammation. Research shows that neem can kill or inhibit growth of bacteria, fungi, and viruses. Neem can help treat Acne, blemishes, stomach issues, skin irritations, because of its highly effective anti-bacterial properties. 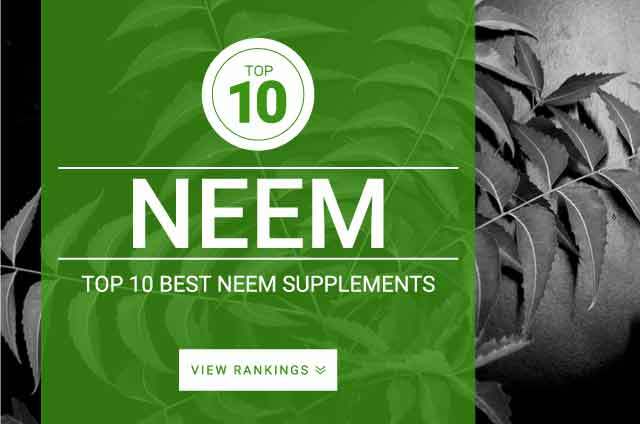 Overall, neem seems to be an effective natural supplement that has a ton of health benefits. Neem gel is effective at reducing plaque and bacterial levels in the mouth and is why neem is often found in many holistic health toothpastes. Due to its anti-plaque and bacterial fighting benefits, neem can help prevent tooth decay. Neem can be prepared in many different ways, soaps, teas, supplements, powders, and the only supplementation advice that can be given with the current research available is to follow directions on the label of the neem product you purchased.